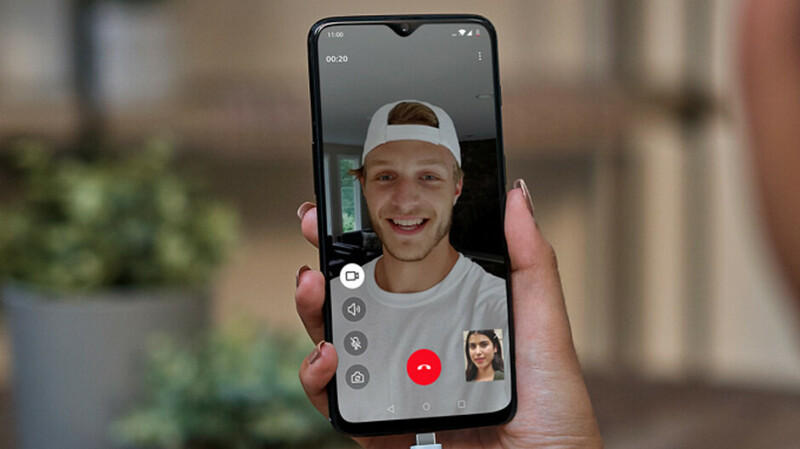 Some OnePlus 6T users have turned to Reddit (via Sunday Express) to vent their frustration about the battery inside their handset. For example, one poster says that over the last day or two, the battery life of his phone has been cut in half. He tried all of the usual suspects including enabling background restrictions on certain apps, clearing cache, and updating the phone to the latest build offered by T-Mobile; it was all to no avail. Another OnePlus 6T owner said that his screen-on time once was in the range of 6-7 hours. Now, he gets about 4 hours of screen time before the battery conks out. The OnePlus 6T sports the largest battery ever used on a OnePlus phone at 3700mAh. That tops the 3300mAh capacity battery used on the OnePlus 6. The manufacturer claims that its Fast Charge technology will give OnePlus 6T users a day's worth of battery power after just 30 minutes of charging. According to one OnePlus 6T user, his phone was not only suffering from battery drain, the unit was also getting quite hot. But he says that all of the issues disappeared after performing a factory reset on his phone. If you don't want to factory reset your OnePlus 6T, you could decide to put up with the battery drain until OnePlus pushes out a software update to exterminate this bug. That could take some time, so you might want to bite the bullet, wipe your OnePlus 6T, and start again. That is quite normal on Android phone just factory reset the thing and done! Yeah, just wipe up your digital life and all fixed. I've never had to do that with a variety of Samsung phones. Im at like 4 hours of SOT with 12 hours total off the charger, so that's pretty standard. I think that's really bad for a 6T. On my OP6, I regularly averaged 6-7 hours SoT, 8+ if I was on WiFi all day. 6T should do even better. Depends on the usage. Some go pretty heavy on their phones like Location, Bluetooth, Mobile Data turned on all the time. Brightness very high, all kind of gestures, ambient display turned on. Some people have poor network where they live. Some use phone extensively for navigation. Some do heavy gaming. Some keep on all google apps, assistant all the time. There are so many differences. It's all about how one configures their smartphone. For example, some people get even 9-10 hr of SOT on their 6T. He has problem if hes only get around 4hrs, I game and use social media daily,, I have Bluetooth and WiFi on 24/7 I get around 6hrs sot . IDC what he's doing, 4hrs is really bad for the OP6T, he defiantly has the bug and should reset his phone. I also kept location always on with high accuracy, bluetooth on the whole day(doesn't drain battery at all). Dual-sim with VoLTE and VoWiFi on, with mobile data on all day, and one hour of navigation every day. Still used to get 6 hours on a OP6. 6T should do better unless he has some bug in his phone. Sounds like a T-Mobile issue to me. Dual-sim disabled on those versions and who knows what else they've done to the software. You just provided the answer in article itself! Just factory reset the device. That's it. It's a common practice in android world. Stop finding issues in non issues. It's not some hardware issue. Every single phone, ever released, has had people complaining about battery life. I highly doubt whether owners of Mi Max phones irrespective of iterations have battery life complaints. That's because no one gives a s**t about huge underspeced phones. I think that today ultra fast charging at high wattage will decrease the battery life. So a mix of regular and fast charging is a better solution. Fast charge your phone when you really need the power asap. What I noticed with mine is if the LTE signal is weak or you are inside a building it drains the battery faster. When I'm outside of buildings and have a strong LTE signal or in WiFi the phone performs better battery wise. My 6t last about 16 hours with normal usage. High usage it's about 12 hours. I haven't had any battery issues. So many answers and none is correct one. So, what happened? There is a hint - hard reset helped. There was one app which misbehave. There are multiple ways to figure out which one and then - make sure it sleeps. Often those apps are FB (and rest of social cr@p).